Edward J. Damich was appointed a judge of the United States Court of Federal Claims on October 22, 1998, by President William J. Clinton. He served as Chief Judge from 2002 - 2009. Judges of the Court serve for a term of 15 years. 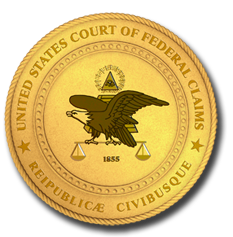 The United States Court of Federal Claims, based in Washington, D.C., hears cases for monetary damages against the federal government, except cases for physical injury. Its docket includes cases involving government contracts, tax refunds, civil service and military pay, land use, Indian lands, and patent and copyright. Judge Damich has an A.B. degree from St. Stephen's College, Dover, Massachusetts; a J.D. degree from Catholic University; and L.L.M. and J.S.D. degrees from Columbia University. From 1995-98 Judge Damich served as Chief Intellectual Property Counsel for the Senate Judiciary Committee. During his tenure on the Committee, he assisted the Chairman, Senator Orrin Hatch, with the passage of the Digital Millennium Copyright Act (DMCA), the most significant change in copyright law since the Copyright Act of 1976. The DMCA updated U.S. law for the digital age and for the Internet. In addition, he worked on the Omnibus Patent Act, the basis for the 1999 American Inventors Protection Act. He was also a member of the U.S. delegation at the World Intellectual Property Organization (WIPO) diplomatic conference, which concluded the WIPO Copyright Treaty and the WIPO Performances and Phonograms Treaty. In September 1992, Judge Damich was appointed by President George H. W. Bush to be a Commissioner of the Copyright Royalty Tribunal (CRT). In formal adjudicatory proceedings, the CRT set rates and distributed royalties under the statutory license provisions of the Copyright Act regarding cable television, non-commercial broadcasting, satellite television, sound recordings, and digital audio recording technology. He served as a Commissioner until November 1993. At present Judge Damich is a Distinguished Visiting Professor of Intellectual Property at the Columbus School of Law of Catholic University and an adjunct professor of law at George Washington University. He has been an adjunct professor of law at the Georgetown University Law Center and a professor of law at George Mason University and at Delaware Law School of Widener University. Judge Damich is the author of numerous articles, mostly on copyright law, but also on jurisprudence, land use planning, and criminal law. His copyright law articles have been cited in three federal district court opinions, most notably in Wojnarowicz v. American Family Assn., 745 F. Supp. 130 (S.D.N.Y. 1990), in which the court adopted his interpretation of a New York statute. His articles are cited in all the major casebooks in copyright law and in the leading treatise, Nimmer on Copyright. He has testified before congressional committees on five occasions on copyright issues and on U.S. foreign policy regarding the former Yugoslavia. Judge Damich is admitted to the Bars of the Supreme Court of the United States, the Federal Circuit, and the District of Columbia. He is a member of the District of Columbia Bar Association, the Bar Association of the District of Columbia, and the Association Litteraire et Artistique Internationale. Judge Damich was the first president of the National Federation of Croatian Americans. On May 8, 2009, Judge Damich received the Loren A. Smith Award, the highest award the Court bestows for service on its behalf.